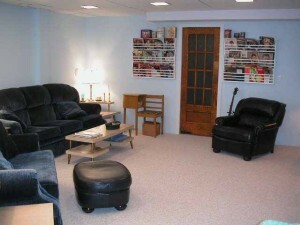 Our goal is to provide expert private music lessons in a spacious, clean environment at fair prices. A common side effect of learning music at Euphonic Studio is FUN! I’ve been fortunate to have lived a rich musical life in performance, study, recording, and teaching. 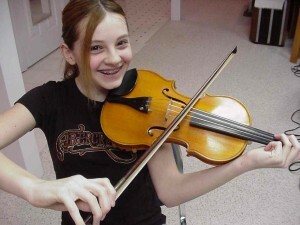 My teachers helped me a lot, and teaching lessons is a role I really enjoy as part of my musical life. Over the decades, I have given lessons to students from age 5 to 70. No matter what age you are, I will connect with you and you will take something away from every lesson. I work hard to make sure that your lessons avoid becoming a tedious, repetitious chore. I want you to have a blast learning your instrument! Parents are encouraged to audit their children’s lessons. There is a lounge attached to the studio area for auditing lessons or waiting for one. If you live in the Cedar Rapids-Iowa City area and are interested in music lessons, please call me (319) 895-8002 . Our studio is in Mount Vernon, Iowa. If you come a bit early, you can relax in our lounge, read, or use our wi-fi. This is also a great place to audit your child’s lessons. As a lifelong musician with an additional career as an electrical engineer, I apply both of those experiences to your lessons. I will draw on years of experience studying, performing, and teaching music to help you get the best value from the books and materials we use. I will also apply scientific and business approaches to organize your study to help you progress faster and avoid wasting your time. I will work with you to pace your lessons so that you have the right amount of work for your skill level and your available practice time. Sometimes I assign extra work in case you have some extra time. I’d like you to take your music studies seriously enough to spend some time doing your homework. How much time? That depends on a lot of individual factors. As a general rule 30 minutes of practice a day is a good baseline. When you practice you need to focus on what you’re doing. If you can learn to focus and spend 30 minutes a day with your music, it would be very unusual for you to fail to make progress. If you are making progress, you will want to continue and I will feel highly motivated to help you! During your lesson I will write down your assignment, possibly some additional exercises, and any suggestions I have to help you to play better. You must practice your assigned lesson and try to implement my suggestions if you want to improve. If you object to your assignment, I’ll be happy to discuss it with you. If you ignore your assignment, not so much. If I think you need to work harder, I’ll let you know, since that’s my job. Lesson policies … please see the Policies and Fees page.